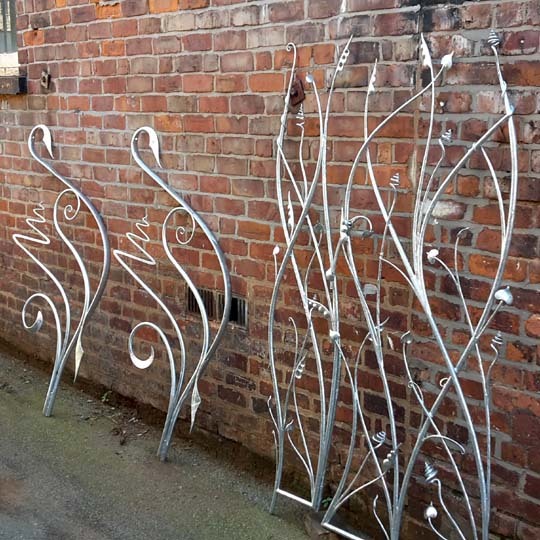 Here are three pieces of very different ongoing work that are all connected by their flowing curves, yet will end up in different parts of the country. 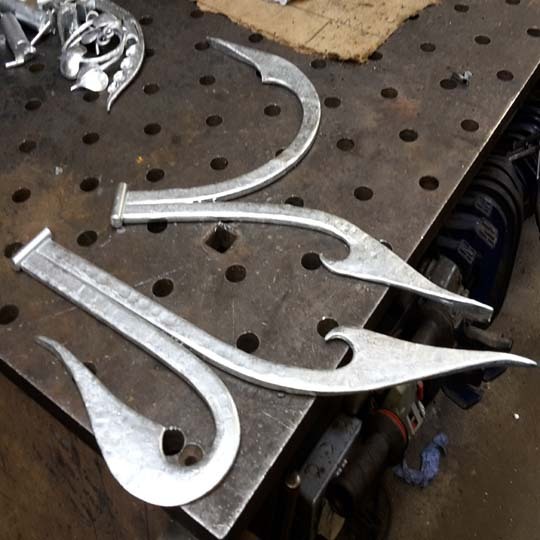 The Art Nouveau inspired hinges will go to Market Drayton in Shropshire, I'll be installing the organic garden gates in Richmond in a few week's time, then installing the handrails in Edinburgh soon after. It as looks as though I've got a fair bit driving to do! I always enjoy long distance driving because of the time for reflection it allows. Something about it always brings to mind Robert Frost's poem Stopping by Woods on a Snowy Evening, whilst the flowing serpentine curves in the metalwork remind me of Hogarth's discourse on the line of beauty.